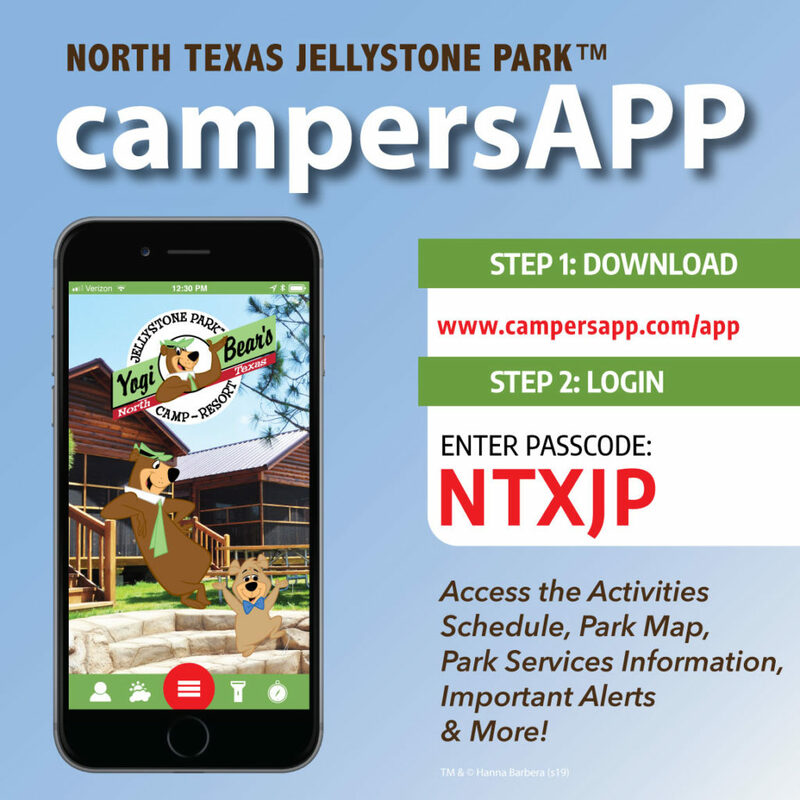 North Texas Jellystone Park™ regularly offers special deals, such as local or military family discounts, gift certificates, holidays specials, and more. Check out any current deals below and follow us on Facebook, Instagram, or Pinterest, for future announcements! Camp-Pak is a new way for RV campers to getaway to North Texas Jellystone.™ RV campers who visit us on a regular basis get more bang for their camping dollars with Camp-Pak. Camp-Pak plans can be used year-round. We all know campers are social beings and friends like to camp together. Camp-Pak plans can be shared with your friends and family. We have three plans available to fit your family getaway budget. Book your Camp-Pak plan, today, and let’s get camping.